Next time you feel peace when enjoying the view on your horizon, remind yourself that you can carry this feeling around with you in the form of personal checks. Our checks include stained glass windows, the easily recognizable encircled peace emblem and the dove, which has been associated with the concept of peace for generations of time. But not all the check designs are sombre. The peace symbol that began in the late 60's and early 70's used to be painted on the sides of many Volkswagen Vans. Now, a "groovy" peace check design is in eye-grabbing neon colors that seem to make the ideal of peace appear more attainable. Hope springs eternal and carrying a bit of hope with your personal checks is one way to maintain equilibrium in a crazy world. Carrying peace checks with you may just help people feel peaceful. You will be getting up to 70% off regular bank prices when you order checks at Value Checks. 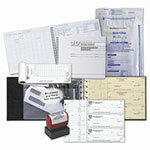 High quality check printing makes each check look crisp and clear.